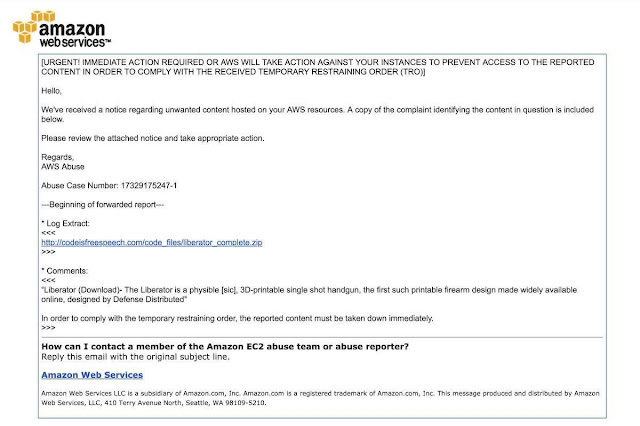 Check out the takedown demand by Amazon Web Services about our http://codeisfreespeech.com/ initiative. We aren't party or subject to any restraining order. Are tech #oligarchs caving? 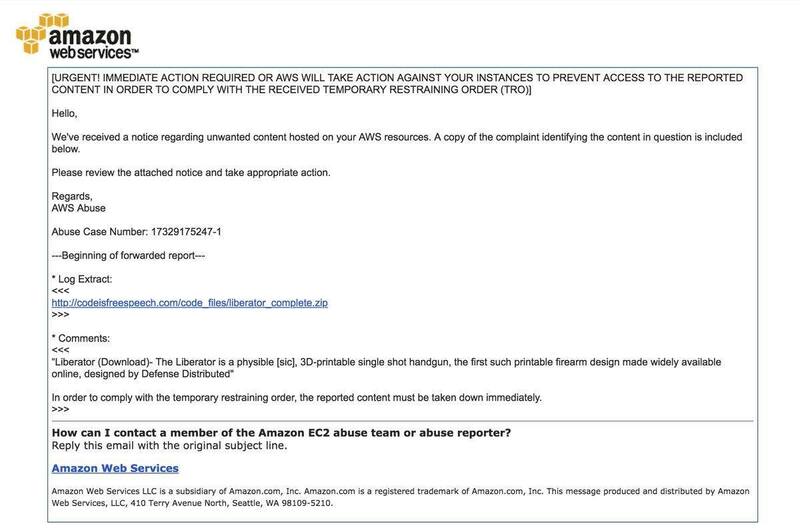 Democracy dies in darkness -- when Amazon and Jeff Bezos censor speech. Please bear in mind that the groups behind CodeIsFreeSpeech.com were NOT prevented by court order from publishing this information and that it is available damn near anywhere you want to search on the internet. I guess when it comes down to it free speech is considered a convenience and not a right when it comes to the wants and needs of billionaire oligarchs. UPDATE: I have an email into Brandon Combs of the Firearms Policy Coalition for more on the story. 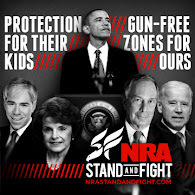 The New York Daily News ran a story about the website saying it was put up by a "group of California gun nuts". Jennifer Van Laar has more on the story at Redstate.com including comments that FPC et al were moving the files to different servers. 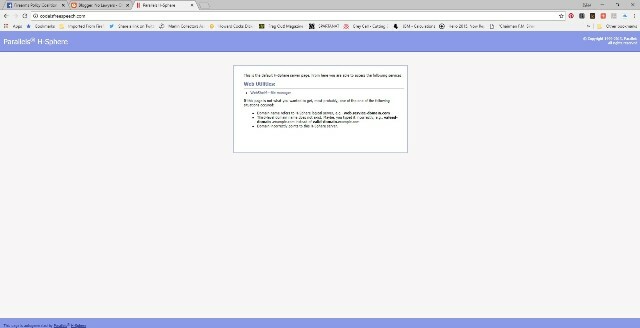 UPDATE II: CodeIsFreeSpeech.com is back online again! seriously, how stupid do you have to be to try and host pro gun stuff, that you -know- will rile the civilian disarmament industrial complex, on servers hosted by notorious members of the CDIC? very poor planning on the part of the publishers. Wasn’t poor planning. It was planned for. Consider multiple layers. As of 9AM EST it's back online. I predict a bunch of "wack-a-mole" on this and sites like it. Shopify has now joined the anti-gun bandwagon that is sweeping the nation. Where will the line be drawn when imposing on ALL rights? Proud To Be A "Gundamentalist"
"You Can't Stop The Signal, Mal"